The world has been embroiled in an economic crisis for some time now, and it doesn’t look as if it will be over anytime soon. According to analysts, economists, political scientists and other experts, the financial problems the world has been dealing with will not get better, but they will actually get worse. These economic conditions are creating certain challenges for banks. These challenges will increase and worsen as the economic crisis worsens in the coming year. The following are just some of the banking challenges this year will yield, and unfortunately, there are many more. Customers will want their banking to be more accessible than ever, anywhere and everywhere. As big banks start to assess fees and other expenses to their individual customers in order to keep making a profit, they will have to make themselves more accessible than ever to keep their customers and to lure in new business. Every bank will have a website, but new users want to research the financial institution they may go with via their mobile device, and this means that many existing flash-heavy banking sites just won’t work. Existing clients also want applications for their smartphones so that their banking when they are out and about is as easy and hassle-free as possible. If a bank cannot deliver these things, they will start hurting. The mobile wallet is coming. While some mobile wallets have already launched, 2012 will see this new payment option blow up in a major way. Merchants will want the money consumers using mobile wallets have to offer, and they will begin to modernize and alter existing Point of Sale systems to accept these mobile payments. Many are getting in on the mobile wallet game, something that Square and Google took the lead on this last year. App developers, existing banking alternatives and more already are working on mobile wallets, and banks will most likely need to get in on the action if they want to stay competitive. Even tighter regulations are on the way. Governing bodies worldwide are increasing regulations on banks. These regulations are an attempt to keep the current financial crisis from getting worse while creating protections for business people and consumers. These regulations will create even more challenges for banks throughout 2012. These regulations will do several things including force banks to have more cash on hand relative to their assets. This will ensure that more loans are fully backed, but this will also mean that the banks will have less ability to give loans, particularly loans for large sums. As mentioned, these are just some of the upcoming challenges for the banking industry in 2012. These are also just some of the expected difficulties on the horizon for this year that is caused by the continuing financial crisis. 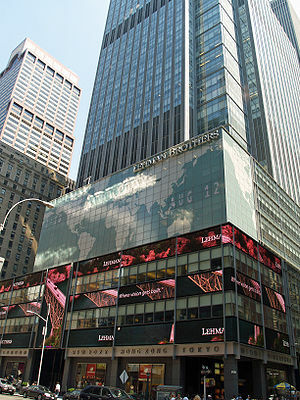 The financial crisis will continue throughout 2012 and possibly onward, so the challenges and changes are very likely to keep coming and coming. Written by Frederick, marketing specialist and guest blogger, interested in finances, web software, data recovery and macroeconomics.